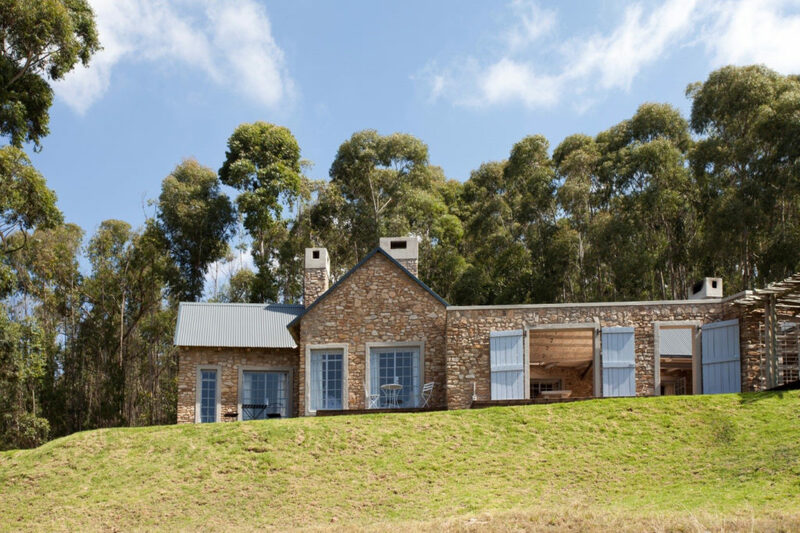 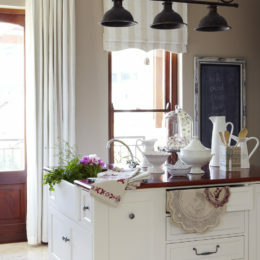 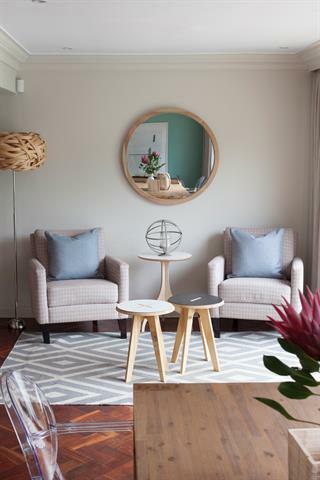 After a disastrous fire, this Dullstroom farmhouse was lovingly rebuilt and redecorated. 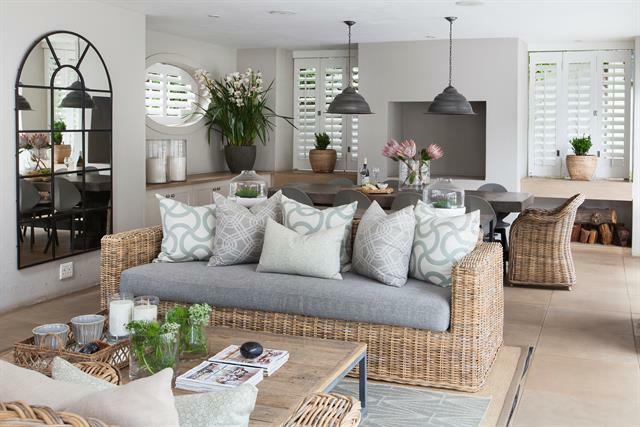 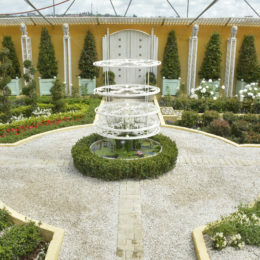 The courtyard is a natural palette, and various textures and furnishings add interest . 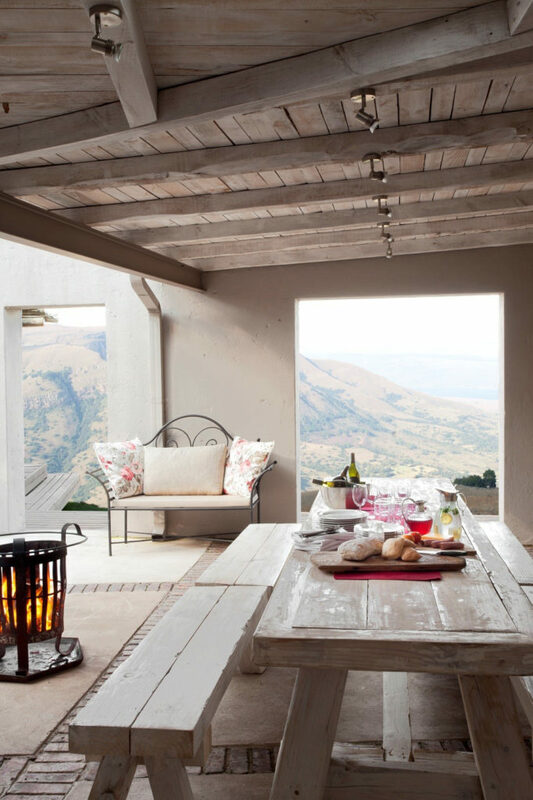 Here, the silhouette of a wrought-iron seat creates a delightful contrast to the robust farm-style table and benches. 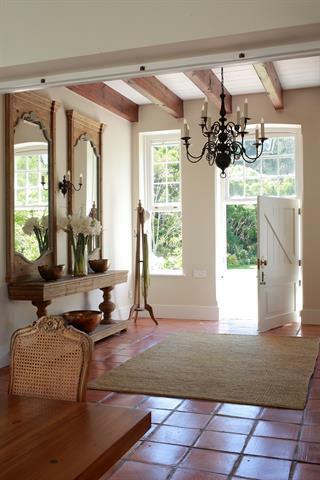 The furniture and accessories used in the entrance hall are a mix of African colonial and traditional French. 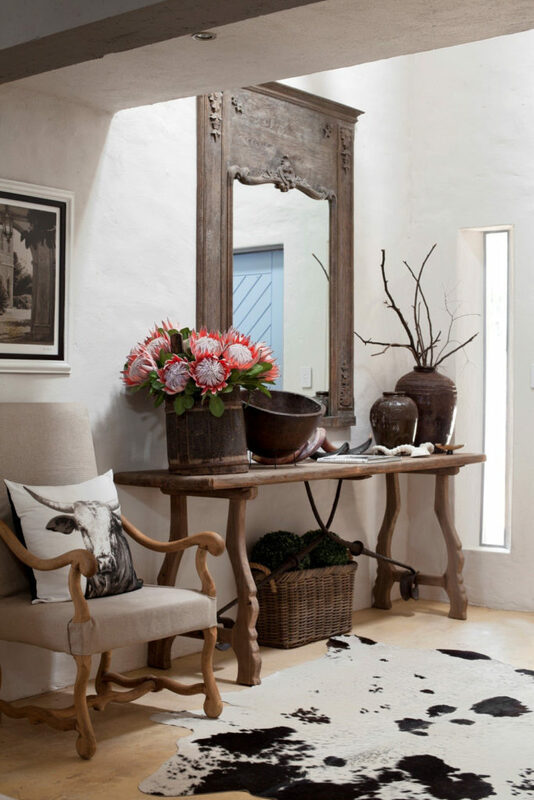 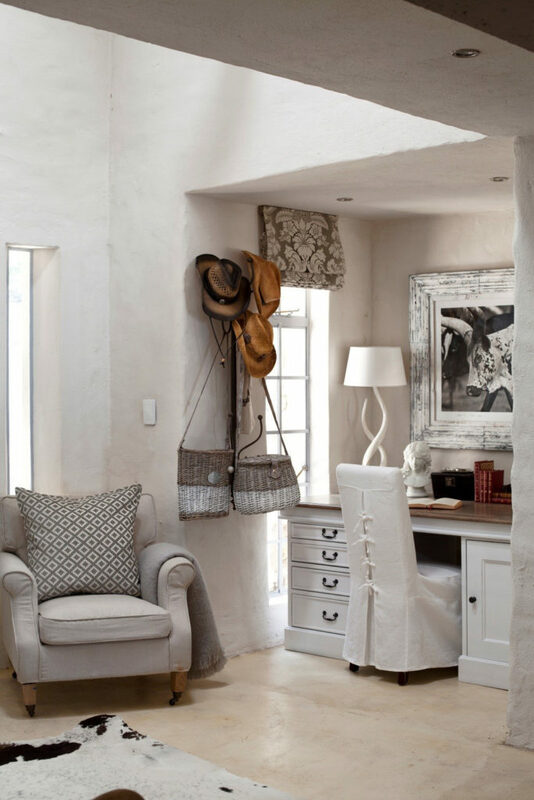 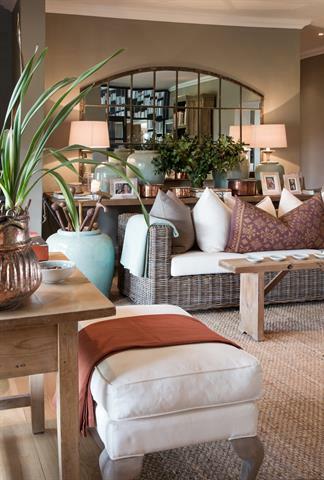 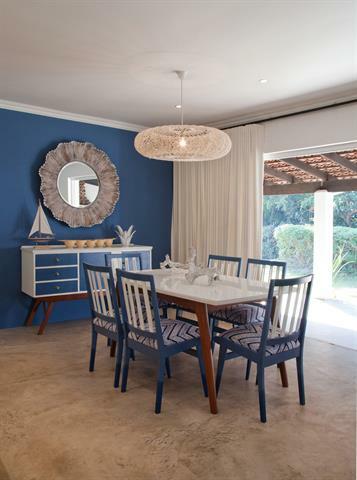 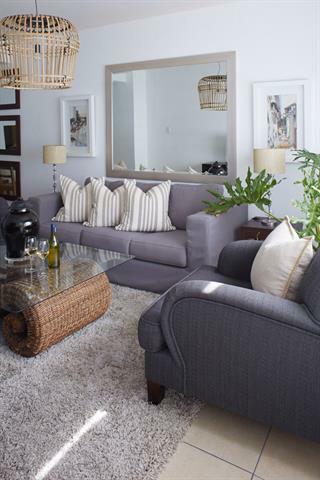 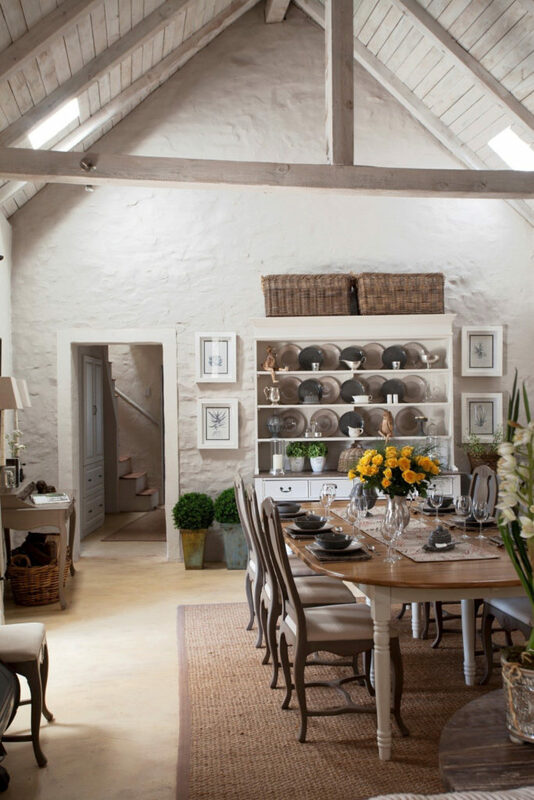 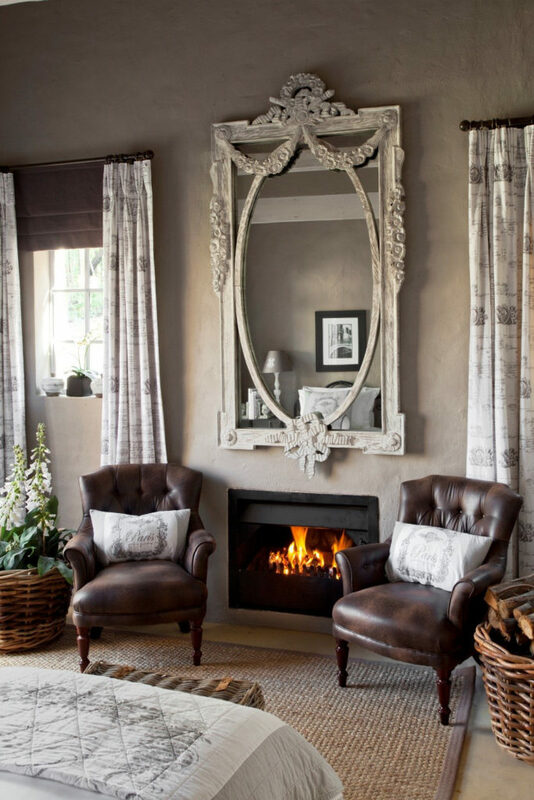 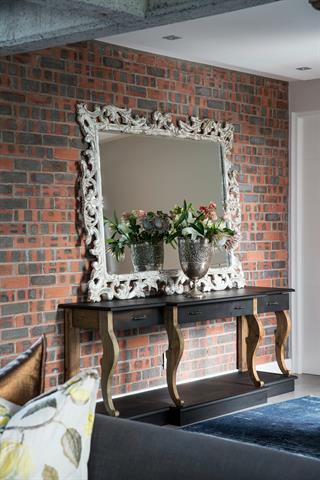 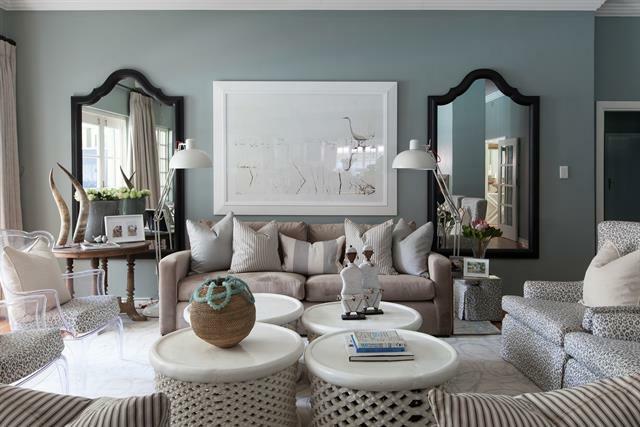 The Nguni cow theme runs through the farmhouse, adding to its charming character. 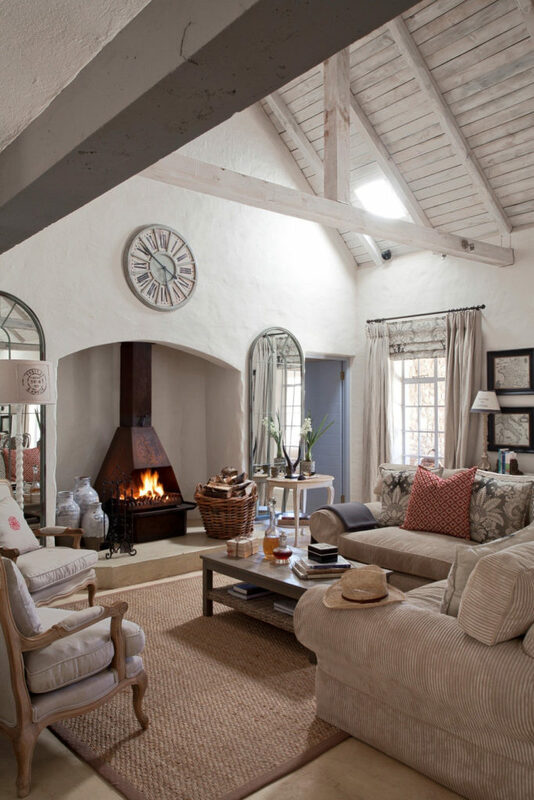 The living room reflects an elegant country style that exudes comfort and the couches and fireplace invite you to sit down and relax. 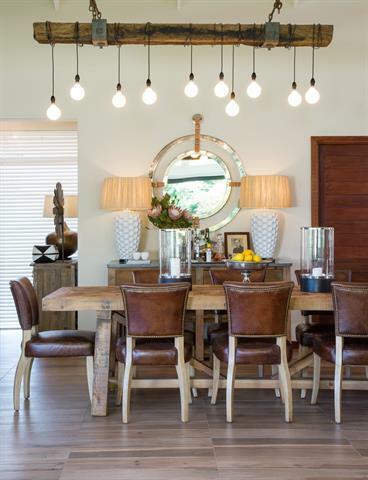 An extendable table is a must-have for anyone who loves to entertain and the high ceilings in the dining room adds to the spaciousness. 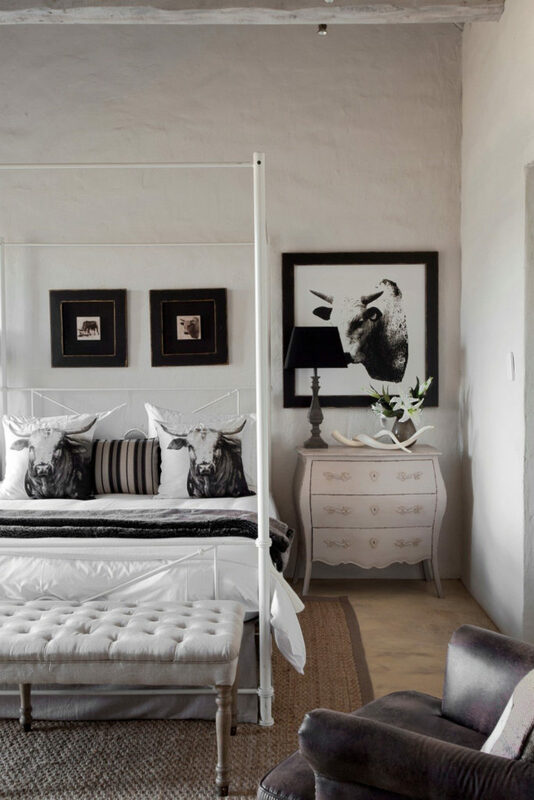 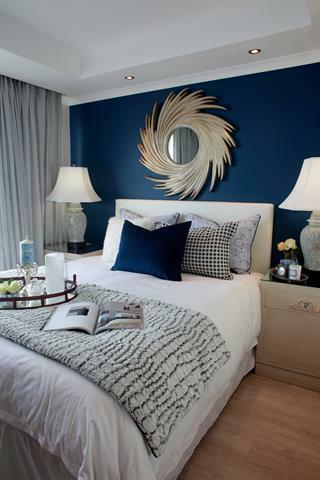 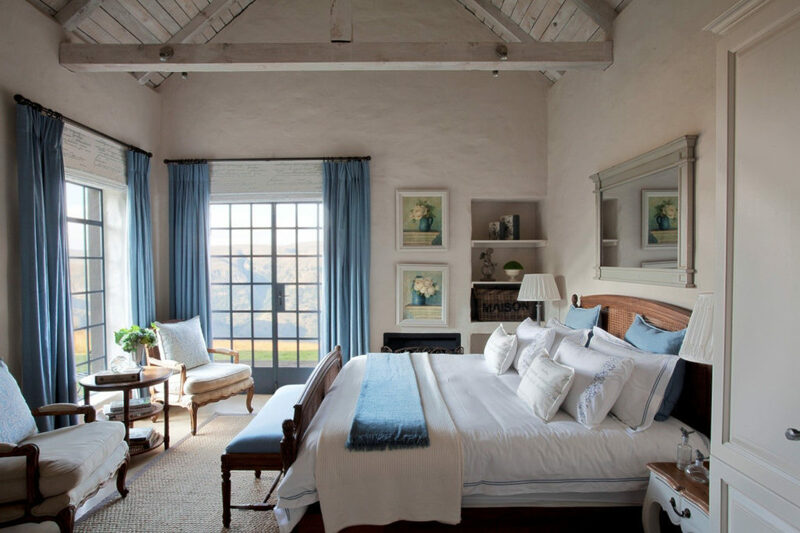 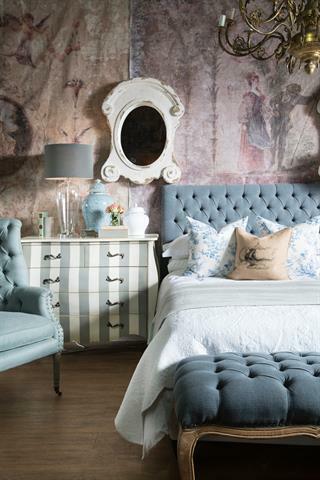 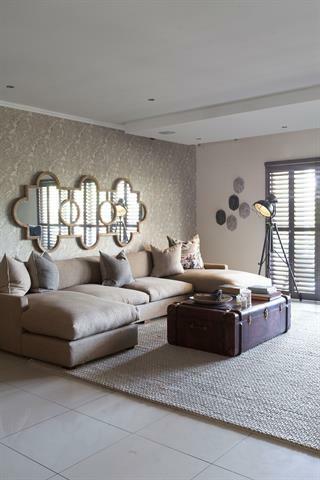 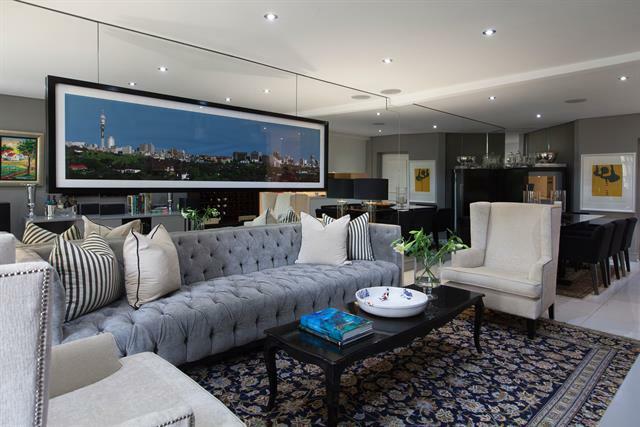 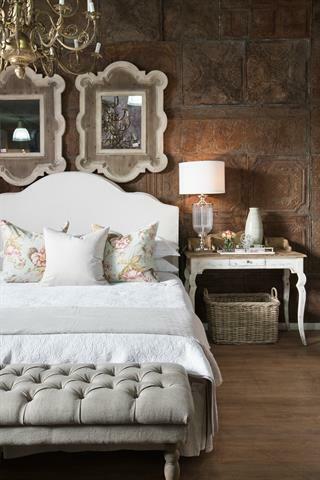 The guest bedroom is decorated with Nguni prints mixed with classic French and contemporary pieces. 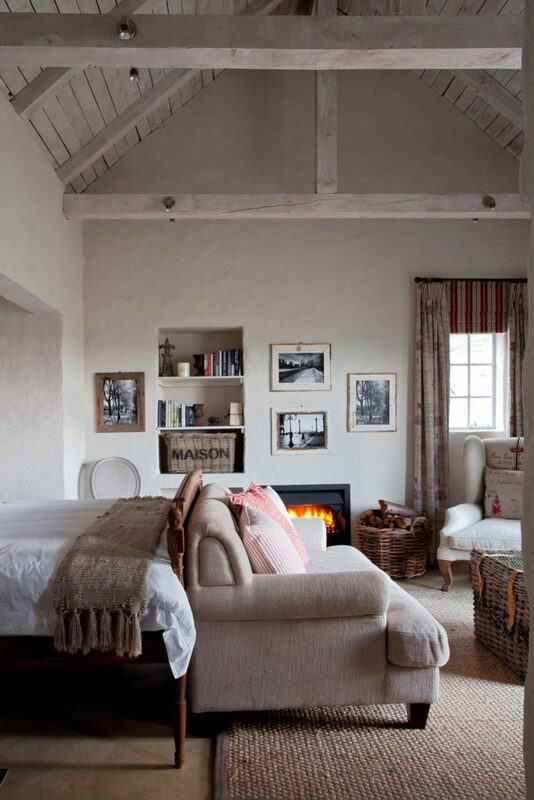 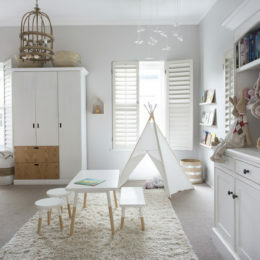 Each bedroom has a fireplace and comfortable seating. 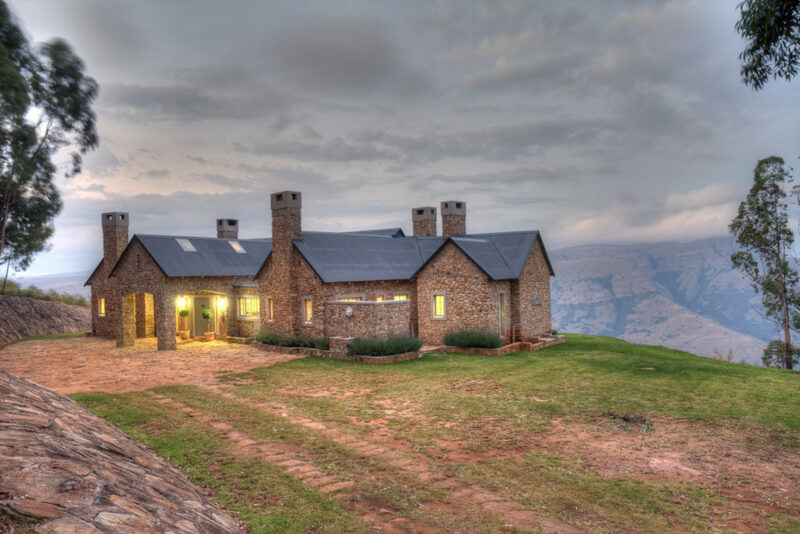 The blue hues from the mountains resonate beautifully with the honey-coloured stone façade.